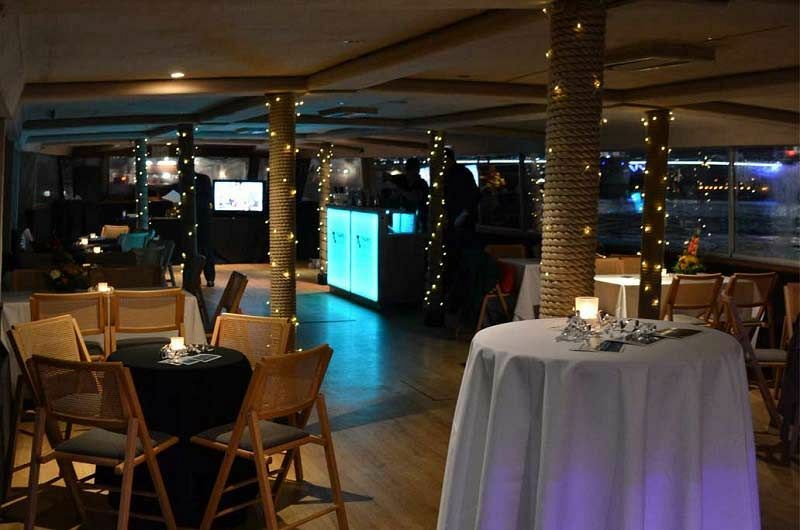 Experience a Christmas party with a difference this year and enjoy a themed party night on this fantastic floating vessel! There’s plenty of memorable themes to choose from, but if you have something else in mind, then the venue will be happy to discuss your ideas with you and make your visions a reality. If you’re looking for a touch of glamour this year, then you’ll love the sophisticated Masquerade Ball or Monte Carlo Casino, or perhaps you’d like The James Bond or Star Wars theme if you’re a movie fan. Transport yourselves back in time to the roaring 1920’s with the retro Great Gatsby theming, or just keep it festive with the stunning Winter Wonderland option. 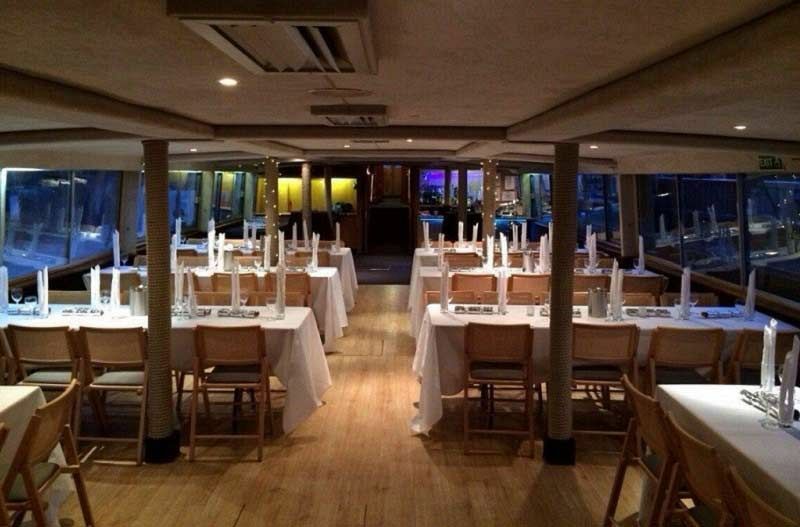 These specially chartered vessels can accommodate groups of 50-150 and offer guests the choice of a sumptuous buffet or a mouth-watering three-course meal, along with an unforgettable party atmosphere. Enjoy a delicious chilled Prosecco reception on arrival, before setting sail on a four-hour cruise, where you’ll soak up the city’s spectacular evening skyline and take in London’s iconic landmarks. The on-board catering team will serve guests a magnificent feast, before the night’s entertainment begins and the DJ will guide everyone through the night with a top selection of all the latest and greatest hits. Book your Christmas party at this unique venue today!